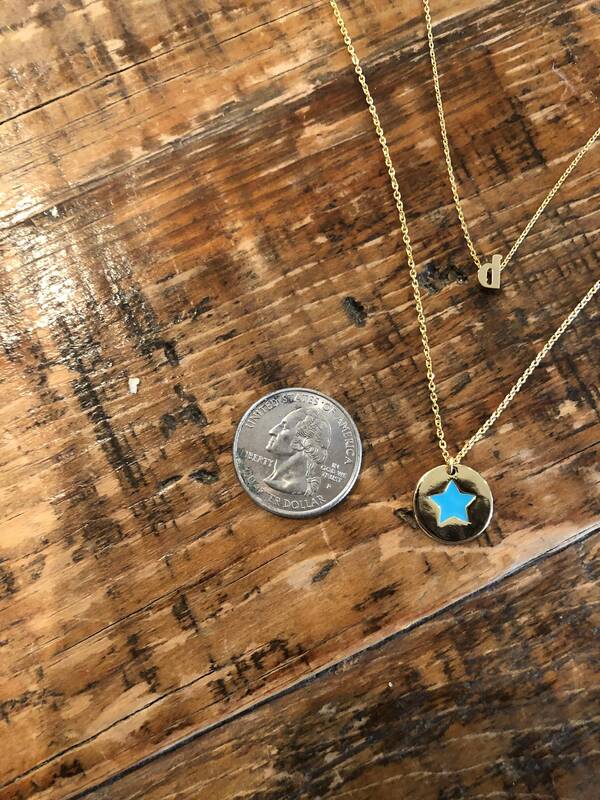 Turquoise Star Coin Pendant Necklace. 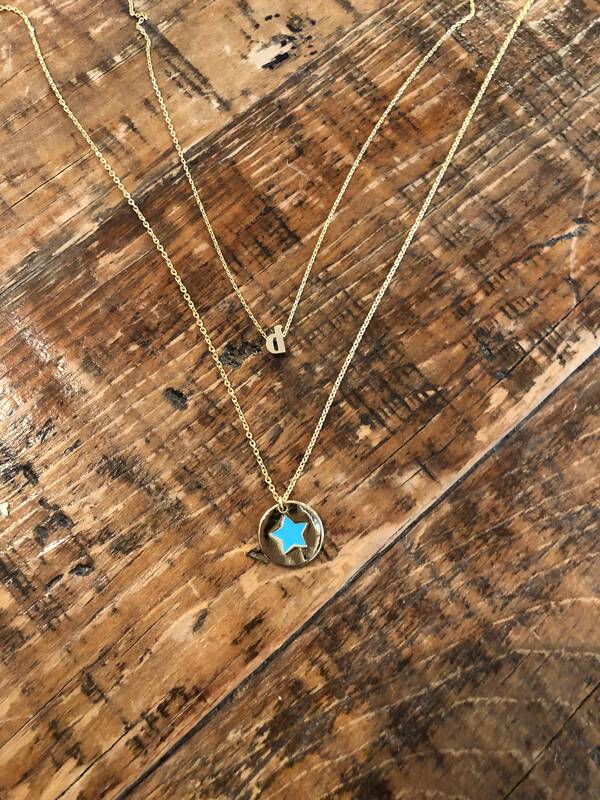 Star Necklace. Epoxy Star Pendant. 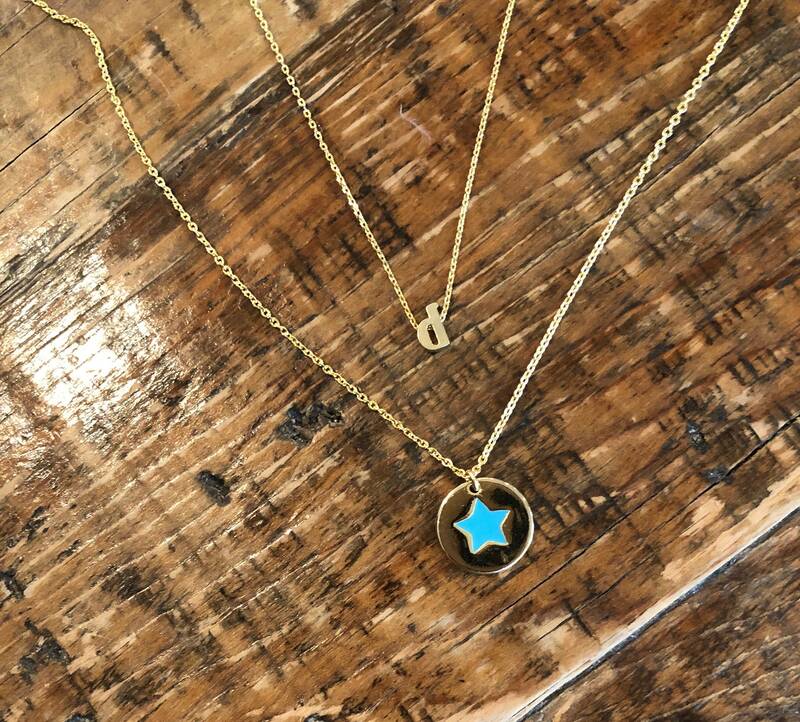 The turquoise coin star pendant necklace is adorable! So cute with a simple white tee and jeans. Funky, boho, casual! We love it! The chain is 16" with a 2" extension. We are happing to make is shorter or longer. Just let us know at checkout. FYI a choker length would be 14".